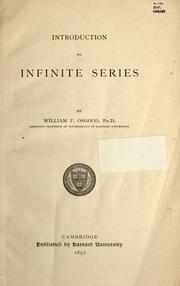 4 editions of Introduction to infinite series found in the catalog. Add another edition? Published 1897 by Harvard University in Cambridge .